Swerve developed this revolutionary product with the client as a stylish and professional active recovery tool for both serious athletes and anyone with an ache or pain. We also designed the packaging and much of the support materials. 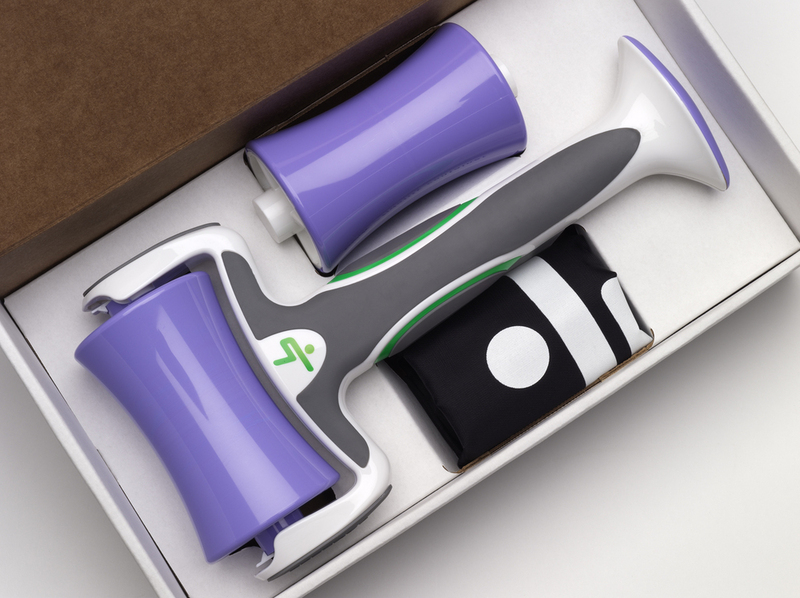 Swerve developed this revolutionary product with the client as a stylish and professional active recovery tool for both serious athletes and anyone with an ache or pain. A tough yet stylish ergonomic handle comes with interchangable hot and cold rollers, for the ultimate in muscle and joint treatment. Swerve took this from a medically derived concept through to production and developed the supporting branding and positioning. We also designed the direct ship and retail packaging and much of the support materials.